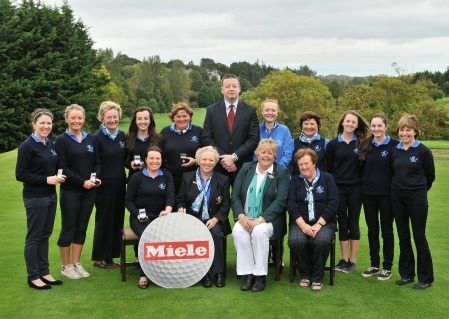 After a tremendous afternoon of golf on a well manicured course, the Region 2 District winners were crowned All Ireland Champions for 2013. 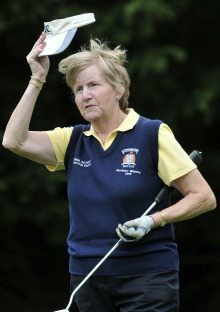 Laytown and Bettytown beat Borris in Saturday’s semi-finals with Barbara Cooney holing in one at the 11th in a memorable victory. However, Mannan Castle proved too strong in the final and ran out convincing winners. 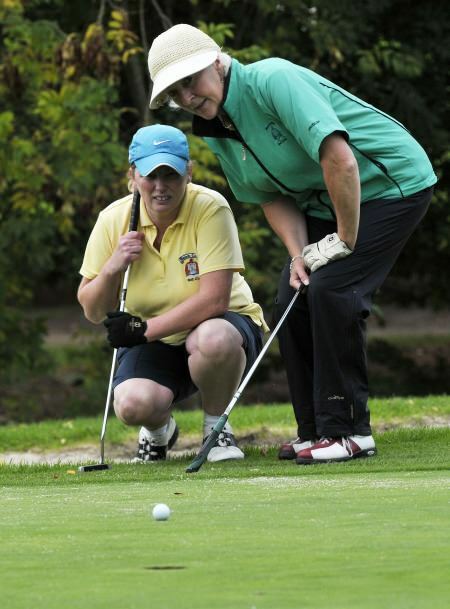 Margaret Geoghegan (15) & Linda Donohoe (20) lost to Aoife Philips (12) & Marita Leech (13) 2/1. Deirdre Connolly (13) & Elayne McDermott(18) v Rita O Loughlin(17) & Nuala Mulholland (23) called in. 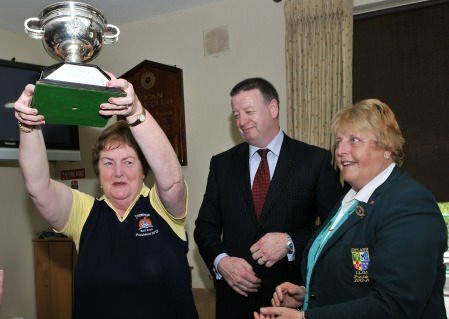 Laytown and Bettystown’s Carol Wickham. 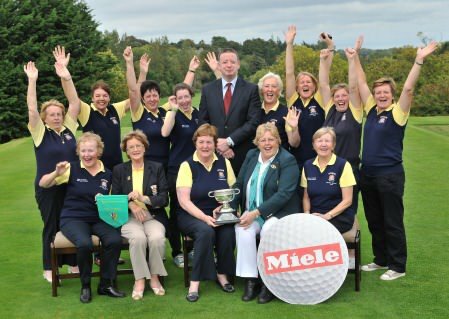 Picture © ILGU.ieLaytown and Bettystown will take on Lahinch in Friday’s Senior Foursomes final at the Private Home Care sponsored All Ireland Inter-club Championship at Mullingar. 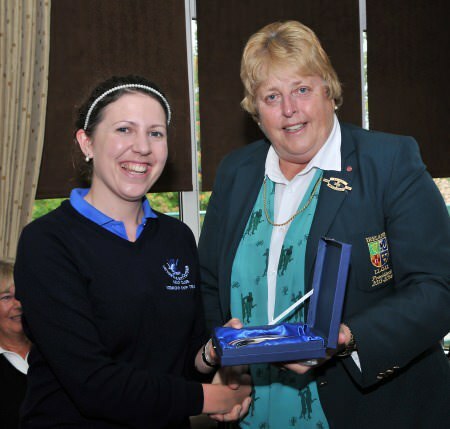 Rachel Taylor (Laytown & Bettystown) celebrates her win on the 18th green to give Laytown & Bettystown Golf Club victory in the Senior Foursomes at the Private Home Care Interclub Championships at Mullingar Golf Club (27/09/2013). 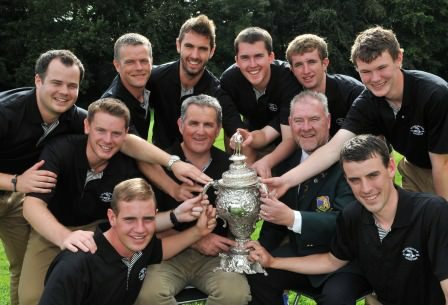 Picture by Pat Cashman /www.cashmanphotography.ieLaytown & Bettystown beat Lahinch 2-1 to win the Private Home Care Senior Foursomes title while Moate won the Intermediate Cup and Co. Sligo took the Minor Cup at Mullingar Golf Club.